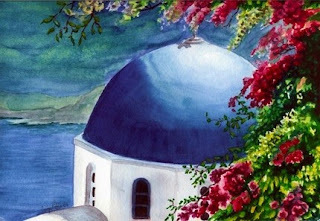 The 25th of March is a dual holiday in Greece, both national and religious. 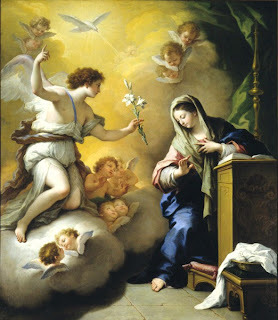 We celebrate the anniversary of the declaration of the start of Greek War of Independence from the Ottoman Empire, in 1821 and the annunciation - when the birth of Christ was announced to the Virgin Mary. There is a school flag parade in every town and village and a big armed forces parade in Athens , the capital of Greece . The Byzantine Empire fell to the Turks in 1453 and the Greeks remained under the Ottoman rule for nearly 400 years. During this time their language, their religion and their sense of identity remained strong. 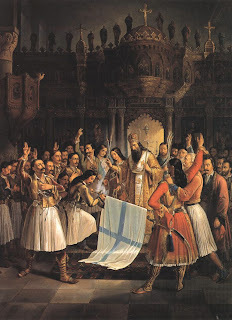 On March 25, 1821 the bishop Germanos of Patras raised the Greek flag at the Monastery of Agia Lavra in Peloponnese and one more revolution started against the Turks. The people of Greece shouted "Freedom or Death" and they fought the War of Independence for 9 years (1821-1829) until a small part of modern Greece was finally liberated and it was declared an independent nation. The struggle for the liberation of all the lands inhabited by Greeks continued. In 1864, the Ionian Islands were added to Greece; in 1881 parts of Epirus and Thessaly. Crete, the islands of the Eastern Aegean and Macedonia were added in 1913 and Western Thrace in 1919. 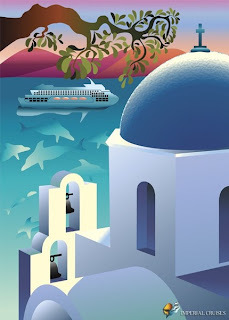 After World War II the Dodecanese islands were also returned to Greece. The traditional dish that is served this holiday is fried salted cod with skordalia. (Skordalia or Aliada is a thick sauce/dip/spread in Greek cuisine). Remove the skin and cut the fish into pieces. Soak in cold water in the refrigerator, for 18-20 hours, changing the water several times, until the fish is lightly salted. Remove the bones and drain the fish well. In a bowl lightly beat the eggs with the water until fluffy. Add enough flour and mix to make a medium thick batter. Adjust the seasoning and set aside. In a large frying pan, pour enough oil to cover the bottom up to ½ inch. Heat over high heat until it reaches the smoking point. Dip the cod pieces one by one into the batter and drop into the hot oil. Fry, until lightly browned on both sides. Remove with a slotted spoon and drain on paper toweling. Serve the dish hot with skordalia and vegetable salad. Add nuts and garlic to the blender and blend well. Soak the bread in water and squeeze out the excess water. Add bread to the mixture and blend well. Slowly add the oil and the vinegar, alternately, beating well after each addition, until it becomes a smooth paste. If the mixture looks curdled, blend it slowly adding a little warm water. Cover and chill. Tip: In the islands the sauce is called aliada and is made with potatoes instead of walnuts and bread. In this case replace the walnuts and bread with two large boiled potatoes and add ¼ cup water. You can use frozen or fresh cod instead of salted (as shown in the picture). 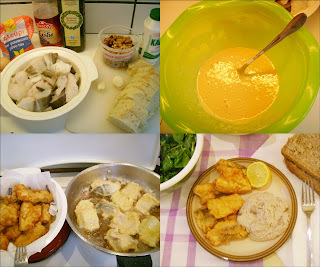 In this case you juct cut the fish in small pieces and dip it into the batter. Hello dear readers! You may wonder why I chose to write about fashion in this article, which is supposed to be about the upcoming Greek Independence Day. 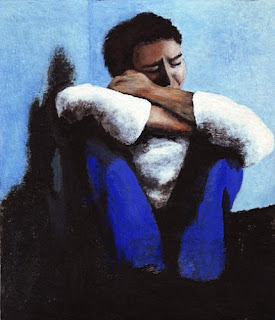 Well, when I first saw the new color palette in fashion for spring 2010, I thought, ‘Hey, they have to be kidding!’ It was like someone had suddenly painted everything blue; other spring colors were certainly there too, but blue was so dominantly all over the place! 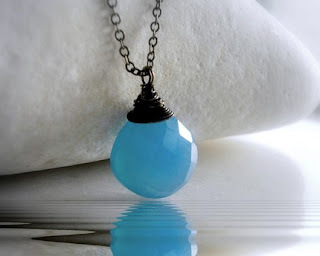 It could be pure coincidence, of course… But whether it is turquoise-ish, amparo blue, royal blue, sapphire or cobalt, it certainly looks like the color mostly prized by Greeks, so much that it’s dominant in the Greek flag, is currently extremely fashionable! 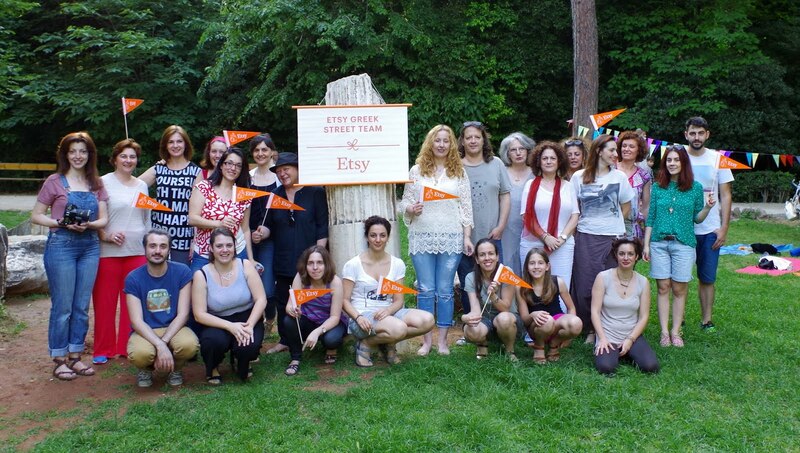 So… what better way for the Etsy Greek Team to celebrate our Independence Day (March 25), than give you all an idea of blue handmade creations from our crafty members? 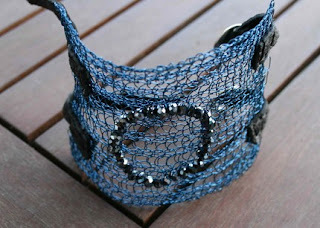 To start with, here’s a very original design in this Blue Pepper Cuff from SweetLeeda. An amazing art print comes next, from artist GogoKorogiannou. I have loved it from the first moment I saw it! Relief is unbelievably expressive and emotional without being sentimental, it is simply amazing. Want something cute? 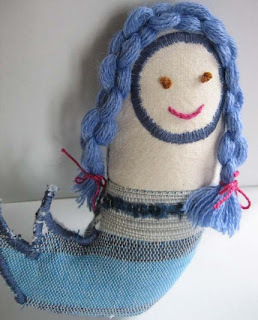 The mermaid from ERGANIweaving is definitely what you’re looking for! 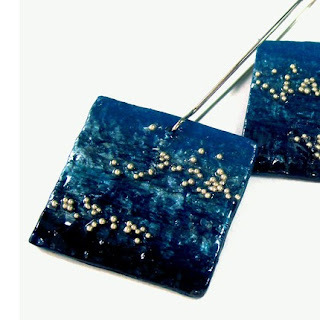 Have you seen these square papier mache earrings - blue and silver? 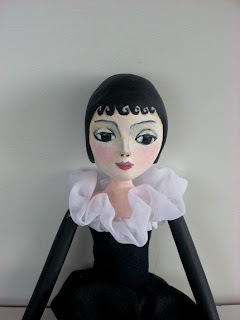 Papier mache is one of my favorite materials too, and theprincessnextdoor is a real artist! 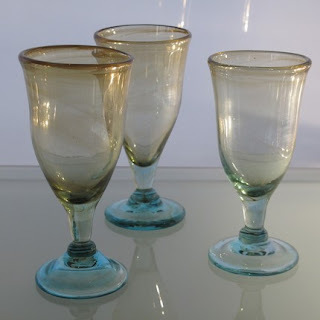 Or, maybe you’re hiding a beadaholic in that artistic soul of yours, in which case I would strongly recommend these; they are the most incredible shade of blue! 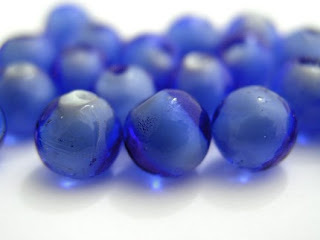 Bead glass, trasparent blue 9mm. Pkg of 15 from isminiSupplies. 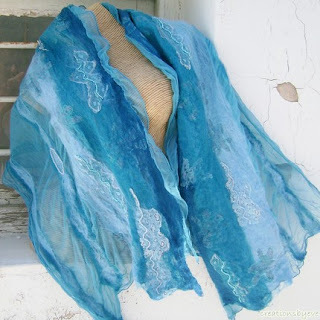 How about a wonderful Cerulean blue nuno felt scarf, from creationsbyeve? It will definitely keep you warm on those cool spring days or summer nights. 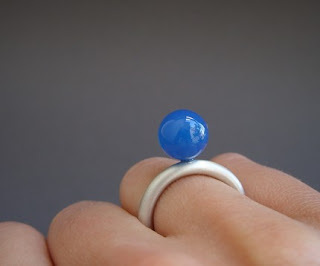 This very artistic ring is also one of my favorites: Neptune from Evrydiki. A modern classic!!! 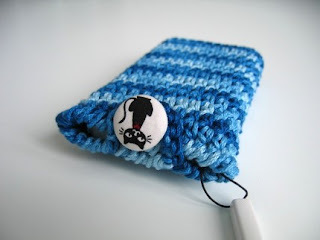 Feeling like knitting something? 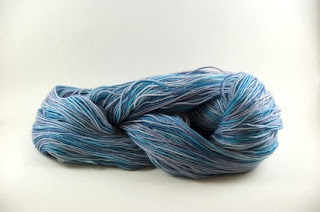 This lovely yarn will help cure your passion… Horizon, Superwash sock yarn from mynameisyarn. Perhaps looking for cards? 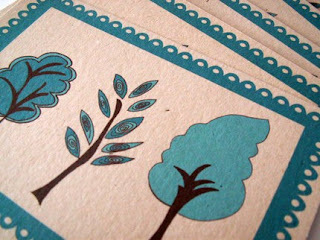 Try these 5 Postcards BLUE TREE TRIO from ahueofduckeggblue. They are so cool! 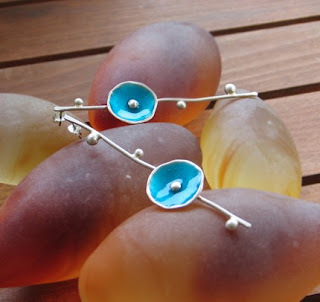 Go blue this spring, with Turquoise Branches Earrings from mariastudio. 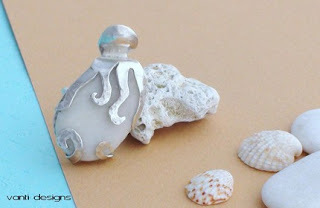 I just love the design, so wonderfully organic! And what better way to bring nature into your home than using these as decorations? 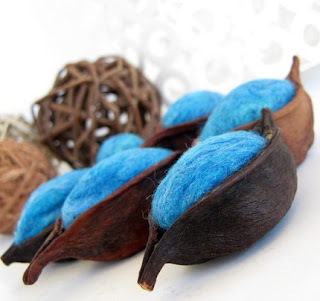 6 Natural Seed pods with Ocean Blue felted wool from woolicious. Or, maybe it's time for a new bag! 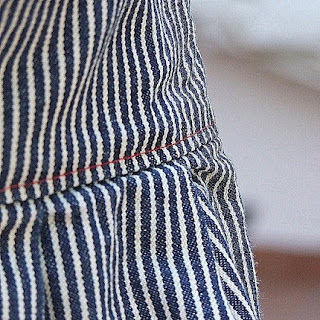 You know you can always have Aella in stonewashed Striped Jean FREE SHIPPING, from milloo. 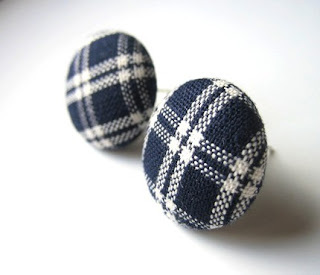 And this style brings us to these mistyaurora classics: Cute Navy and White Check Tartan Earring Studs EtsyFreeShipping, which I think are a must! 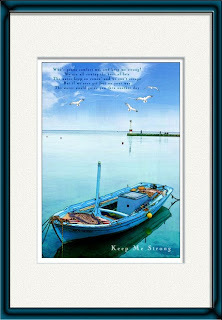 Finally, I couldn't leave out this Art Print Greece from InspirationsbyStella, as it is so gloriously Greek! And if you can’t get enough of this magnificent blue, don’t worry. We, in the Greek Team, understand what a wonderfully intoxicating color it is… So we are inviting you to dive into this celebration of true blue and join us all in this feast of sweet and wonderful freedom! Happy Independence Day, Greece!!! 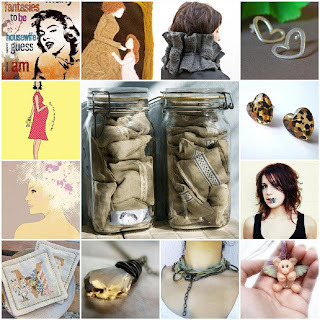 The egst gives you gift ideas for Mother's Day !!! 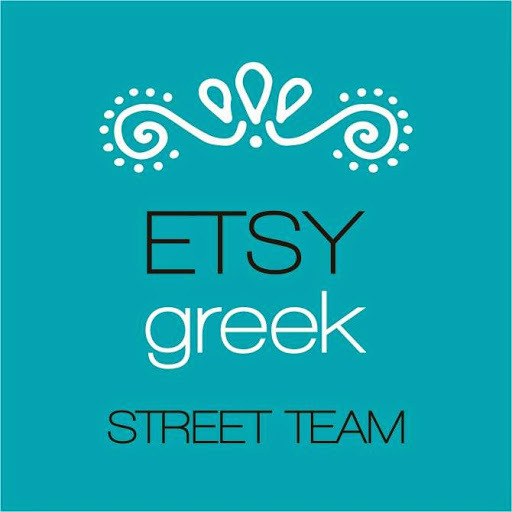 The Etsy Greek Street team gives you some gift ideas for Mother's Day! 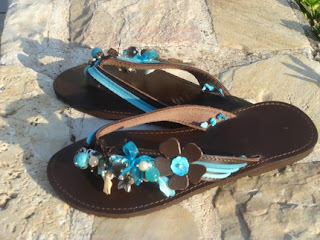 Also, have a look to the other greek shops! 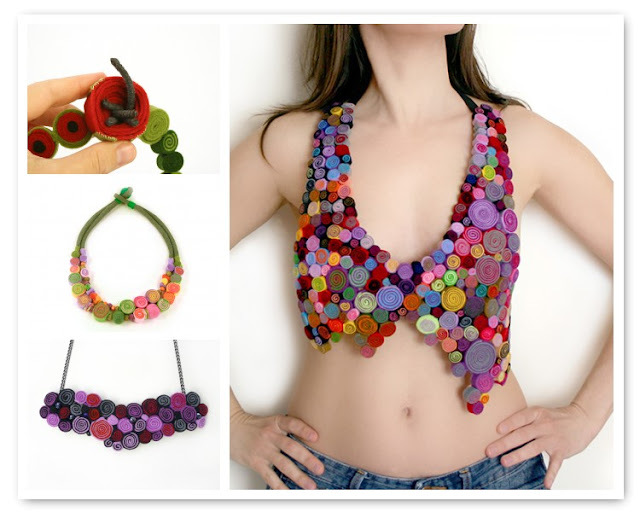 click to the links under the mosaic to see more details for the handmade creations!